While no specific plans or renderings have been developed yet, the group will be giving a presentation to the Homewood City Council on Aug. 28. Journal photo by Jordan Wald. 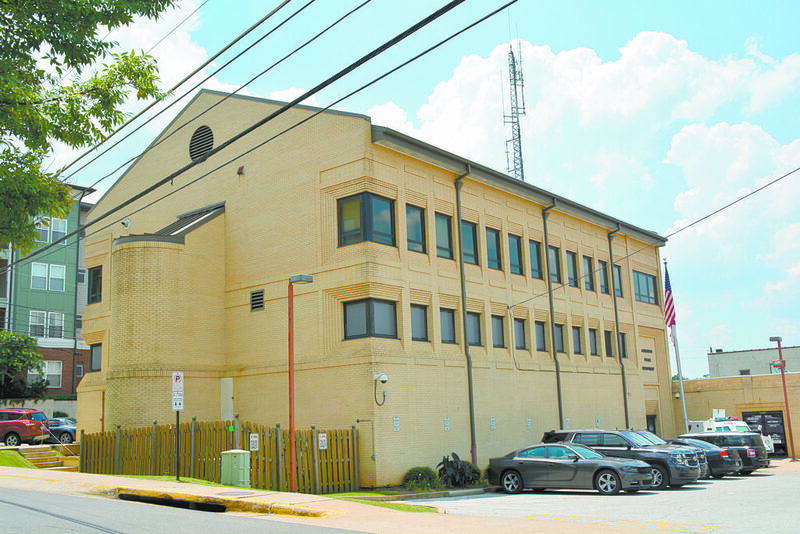 Ever since the Homewood City Council decided to move forward on a new public safety building in West Homewood, residents have been wondering what will happen to the current downtown facility. Now one group is ramping up support for turning the site into a public green space. “We already have a thriving commercial center. Now is the ideal moment to explore a ‘green magnet’ that will bring people in to shop and eat every day of the week,” said Betsy Hunter Maguire, advocate for the project. Maguire said the group, the Homewood Green Initiative, is hoping the city will take some time to thoroughly process the idea of a pocket park before feeling pressure to sell or lease the property. “Homewood is in good shape financially, so we have the opportunity to really stop and plan something meaningful,” Maguire said. Maguire concedes it is a different way of thinking to forgo a revenuemaking sale of the property in favor of a park. But she said the current jail and public safety building is the last piece of property the city owns in downtown Homewood, so this could be the only opportunity to do something like this. The group of Homewood residents, which so far includes urban planners and former officials, are looking to similar initiatives in cities such as Greenville, South Carolina, and Chattanooga, Tennessee, for inspiration. While no specific plans or renderings have been developed yet, the group will be giving a presentation to the Homewood City Council on Aug. 28. “It’s a time to think about what we want to communicate about our downtown. We have the components and the bones. Our presentation will be a time to make suggestions and inspire creativity,” Maguire said. The group will host a more indepth presentation in September with keynote speakers and a time for comments. Meanwhile, Maguire and others said they have confidence the mayor and council members will approach any decisions with the best interest of Homewood in mind.